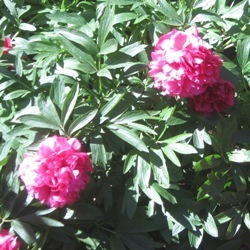 Peonies are valued for their easy care and long life. They produce huge flowers, up to 6 inches across, on strong stems with lush green foliage. Excellent as a cut flower. Or, for a riot of color, plant as a border hedge. They need a cool winter climate so do better in the North. Our freshly dug roots are adapted to the North and Southeast and sometimes take two years to establish and produce flowers. For faster bloom, see our clumps (link below). With their huge blossoms, they may need staking. May/June. 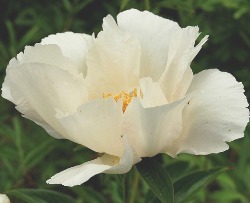 See also our Peonies by the Bushel for naturalizing large areas. You may also be interested in our field-run Clump Specials which are 10 year old undivided clumps for earlier bloom. A wonderful collection of 1 each of Edulus, Felix Supreme, Festiva Maxima, Jules Elie and Sarah Bernhardt -- 5 in all. 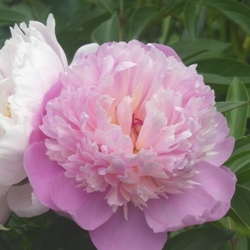 Baroness Schroeder Peonies have large pale blush pink flowers, which quickly fade to pure A fabulous cut flower! Staking may be needed. A old favorite for many generations. 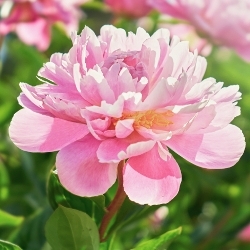 Edulus Superba Peonies are a zingy shade of pink and old rose, double, with tufted centers. The flowers are 5-7” across and are fragrant and long-lasting. They grow best in northern climates. 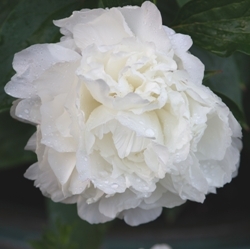 Felix Supreme Peonies are prolific, producing 20 or more flowers per plant in 4-6 years. A show off in the garden, this peony features medium to large carmine-red, double blooms on 32-inch stems. Foliage is heavy, making it a good landscape bush. An excellent cut flower, a mainstay in the cut flower trade for its color. 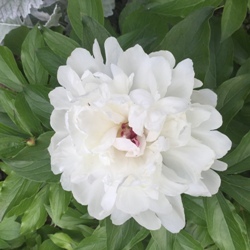 The color of Festiva Maxima Peony is the purest of whites, with 4-5" cup-shaped blooms that are fully double with central petals decorated with crimson touches. In early summer, these 30-36" tall vigorous plants display lush blooms with a strong fragrance. Good cut flower. You may also be interested on our Festiva Maxima field-run Clump Specials. Despite its name, J. 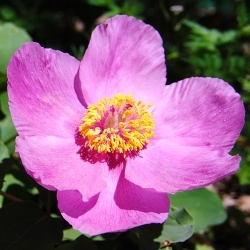 (Japanese) Red Peony is a deep pink colored double peony with a white center. It is an unknown cultivar. 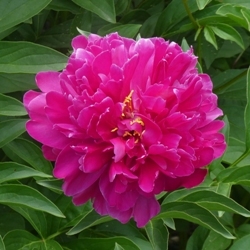 Karl Rosenfeld is a free-flowering Peony with crimson red, double blooms on 32-inch stems. Gold stamens are visible scattered among the petals. Blooms profusely, producing many stems for the vase and stands well in the garden. You may also be interested on our Karl Rosenfeld field-run Clump Specials. The peony from your grandmother’s garden. Monsieur Jules Elie Peony (sometimes called Monsieur Jules Elie) is old-rose pink in color with voluptuous three-tiered blooms. The crown is occasionally marked with crimson. An early bloomer, it makes a good cut flower. 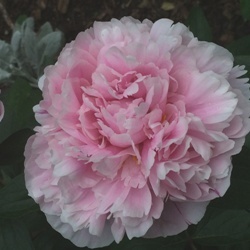 Sarah Bernhardt Peony is a very large dark rose pink double bloom with edges a little lighter. Occasionally the central petals will show carmine flecks. With strong stems and good foliage, this is a heavy-blooming variety with fragrant flowers. You may also be interested on our Sarah Bernhardt field-run Clump Specials. 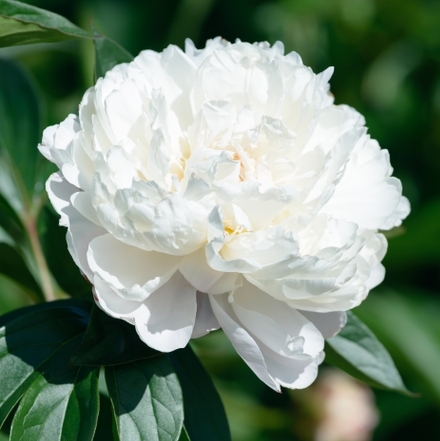 Shirley Temple Peony flowers are a lovely apple-blossom pink that lightens to white as it ages, so the plant often has blooms in several delicate shades at once. The blossoms are profuse, large, usually about 8" across, and very fragrant. You may also be interested on our Shirley Temple field-run Clump Specials. 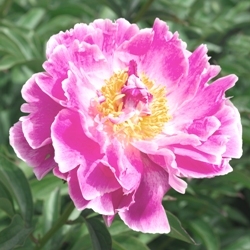 Single Pink Peony has sweet single pink blooms with a central button of golden yellow. 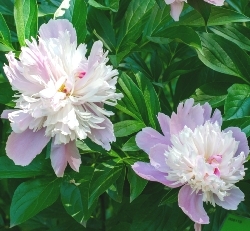 Sorbet Peony has unusual pink and white double blooms. The foliage turns red in autumn. Very fragrant.